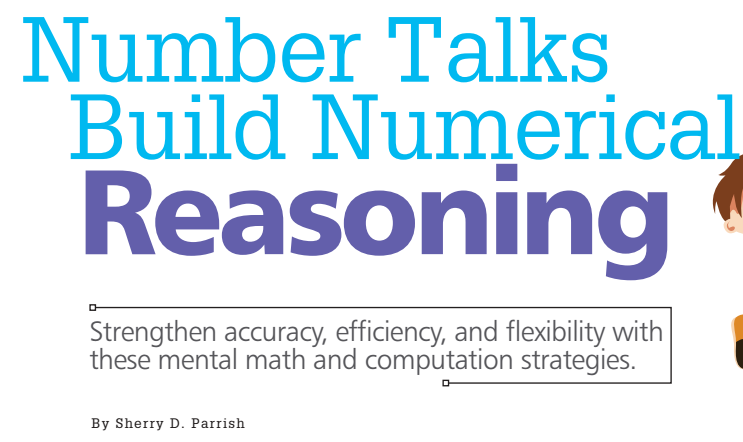 Number Talks Build Numerical Reasoning de Sherry D. Parrish est un article qui offre le "quoi", le "pourquoi" et le "comment des "Number Talks". Quoique ces derniers peuvent être animés et structurés à partir d'équations, tel que suggéré dans l'article, un "Number Talk" peut également centrer sur une image visuelle comme celles retrouvées sur ce présent site. 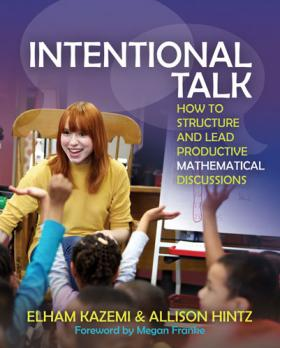 Number Talks Build Numerical Reasoning by Sherry D. Parrish provides a great overview of Number Talks- the what, the why and the how. Though Number Talks can be structured around equations as suggested in the article, they can also be launched using visual images such as the one found on this website. 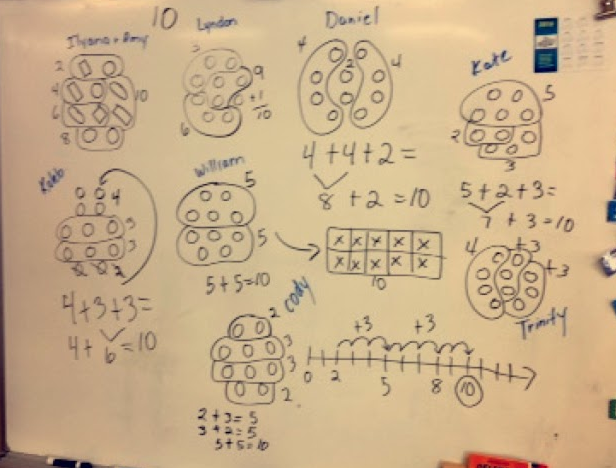 ​"A mash-up of a card sort and Number Talks for dot diagrams with eight dots"
Cindy provides us with a Desmos card sort activity where students need to match equations to a dot pattern, create an equations that match dots patterns and create dot patterns that match equations. This image is courtesy of Bryan Meyer (@doingmath). This is a great way to think when planning a Number Talk (and any other math "lesson" for that matter!). Voici un gabarit de planification inspiré du modèle de Kristin Gray (@MathMinds). 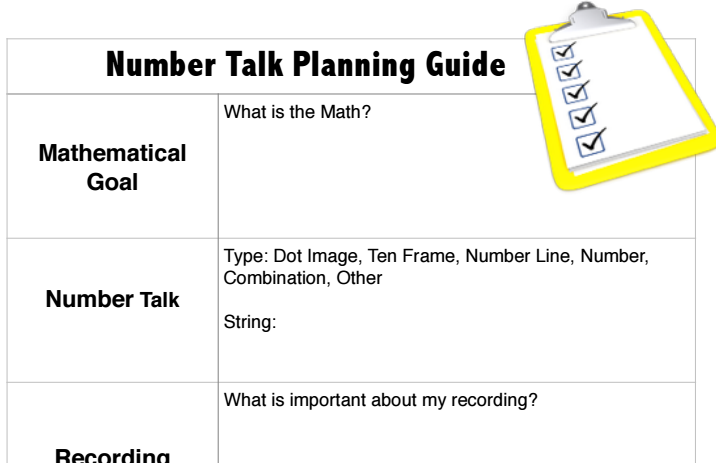 Here's a planning template courtesy of Kristin Gray (@MathMinds). Presentation, discussion cards and planning template from Kristin Gray's NCSM/NCTM 2015 sessions. A collection of Number Talk ressources including videos, articles and suggestions to support student mathematical conversations.